Make the most of outdoor living whatever the weather with a stylish awning offering shade and shelter. Available in a variety of designs and fabrics and with a choice of mounting brackets and operations, you can choose an awning that complements your home perfectly. Lakeland awnings are supplied by a UK based manufacturer located in the North-West of England, home to the beautiful and elegant Lake District. Established for over 22 years in the home improvement market, Lakeland Awnings is supported by a wealth of technical knowledge, expertise and excellent customer care. Each Lakeland awning uses the highest quality materials and is built by highly skilled technicians using the most up to date machinery. Each awning is carefully checked, marked and packaged. Installation is quick and easy, taking a matter of hours and will be carried out by a trained and approved installer. 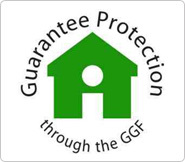 With a 5 year guarantee, you can be sure that your Lakeland awning will be a lasting and valuable edition to your home providing years of protection and enjoyment.